White kidney bean extract is one of the many weight loss alternatives on the market today. This substance is great for stopping the absorption of carbohydrates by the body, which is one of the biggest sources of calories in our daily diet. There are many carb blocker supplements being sold on the market so it is important to look out for one that will actually be effective. 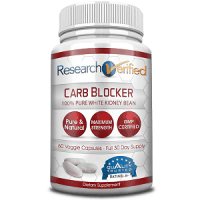 This review will take a look at the product called Research Verified Carb Blocker to determine if it is an effective option to choose from. This product was formulated based on the results of clinical studies by providing a product with the same ingredients at the same dosage found to be effective. 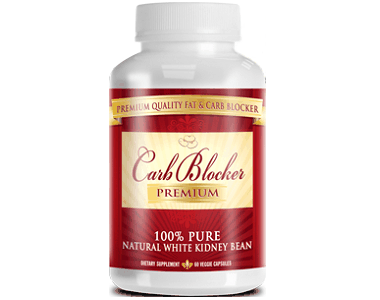 What’s in Research Verified Carb Blocker? White kidney beans inhibit the digestion of carbohydrates. Any carbohydrates that are eaten will then be left undigested in the gut and excreted and their calories will not be absorbed. Therefore, this extract is able to prevent weight gain the same as restricting calorie intake will. According to research, chromium and chitosan are important to include in a supplement of this kind as it helps with the absorption of the white kidney bean extract. 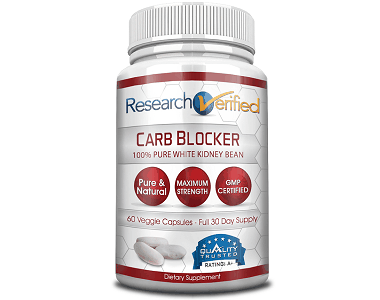 How Do You Use Research Verified Carb Blocker? It is recommended to take two capsules a day. For best results, take one capsule twice a day, 30 minutes before a meal, with a full glass of water. Research Verified offers some fantastic purchasing deals with this product. The more bottles you buy, the more money you save; which is a great thing for a weight loss product as you will be using it over a long period of time. You can buy one bottle, which is a one-month supply for $48, marked down from $69.95. You can also buy a package including three bottles for a total cost of $98 and a package including six bottles for a total cost of $142. You can easily buy these packages from the Research Verified website and from Amazon. Along with the great prices, Research Verified also offers a one-year money-back guarantee if you are not happy with your purchase. You can return both opened and closed bottles for a full refund, minus shipping costs. Research Verified also guarantees quality as their products are manufactured in an FDA-approved and cGMP-certified lab, follow the guidelines of the US Pharmacopeia and are third-party tested. Natural ingredients should not result in any harmful side effects. However, it is advised for pregnant and nursing women and anyone with an underlying medical condition to first speak with their doctor before trying this supplement. Based on the research, this seems like a good product to try. It follows clinical studies and uses the same formula that was found to produce positive results. The ingredients are all-natural and do not include any fillers and binders so you don’t have to worry about any negative side effects. The manufacturer offers good purchasing options to save you money and with the one-year money-back guarantee, you don’t have to worry about losing your money by making this purchase and not being satisfied. There are more reviews about Research Verified available to learn what makes this manufacturer stand out. We think this is a product worth trying.